From playing a holiday camp comedian on television to a live stage portrayal of one of the funniest men on the planet over the course of the last century. Comedy actor Jeffrey Holland, former star of hit TV sitcoms Hi-de-Hi! and You Rang M'Lord? is taking on one of his most challenging roles by starring in a one-man show dedicated to the life and legacy of comedy film legend Stan Laurel. Stan was one half of the genius double act, Laurel and Hardy, that brought untold joy to millions of people for the best part of two decades. The play, entitled And This Is My Friend Mr Laurel, written by Jeffrey Holland and Gail Louw, opens the lid on friendship, memories and the remarkable lives of Laurel and Hardy. Presented by The Finishing Touch Company and KPS Productions, the one-man production is to be performed by Jeffrey on Saturday 12 January in the newly opened St Marys Lichfield, the former 19th century church which has been transformed into a multi-use venue that also houses the relocated Lichfield Library. 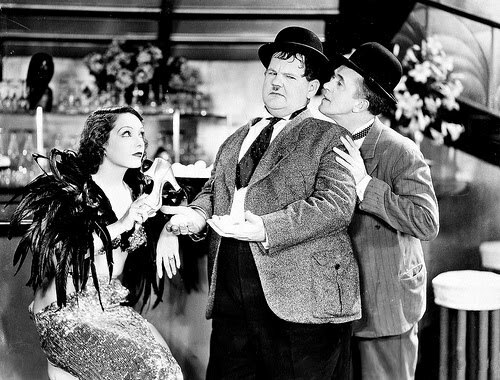 Set in the bedroom of a sick Oliver Hardy the show takes place during Laurel's visit to the dying man. Recounting their past success as the comedy double act Laurel and Hardy, this is a humorous and touching look at one of the great cinematic partnerships of the last century. Englishman Stan Laurel, who died in 1965 at the age of 74/75, and American Oliver Hardy, who passed away in 1957, first teamed up in 1927 and went on to appear in more than a hundred films together of varying lengths. They became famous throughout the late 1920s and right through to the mid-1940s for their slapstick comedy, with Laurel playing the clumsy and childlike friend of the pompous overbearing Hardy. Jeffrey Holland was born and brought up in Walsall, in the West Midlands, and went on to make his professional acting debut as Frank Mullins in Henry Cecil's play No Fear Or Favour at the Alexandra Theatre, Birmingham in 1967. But his big break came eight years later when, in 1975, he joined the cast of the musical stage version of Croft and Perry's hit sitcom Dad's Army in which he took over the role of Cockney spiv Private Walker. It proved a major catalyst for his being cast in future Croft and Perry roles. They included supporting roles in Croft and Perry's Dad's Army, Are You Being Served and It Ain't Half Hot Mum, before landing the plum job of camp comedian Spike in Hi de Hi. He went on to follow Spike with the completely contrasting and wonderfully pompous and pious portrayal of the stuffy footman James Twelvetrees in the equally popular Croft and Perry sitcom You Rang M'Lord and the starchy station master Cecil Parkin from the David Croft, Richard Spendlove series Oh Dr Beeching. He is currently celebrating 47 years in show business with his latest tour as Stan Laurel. 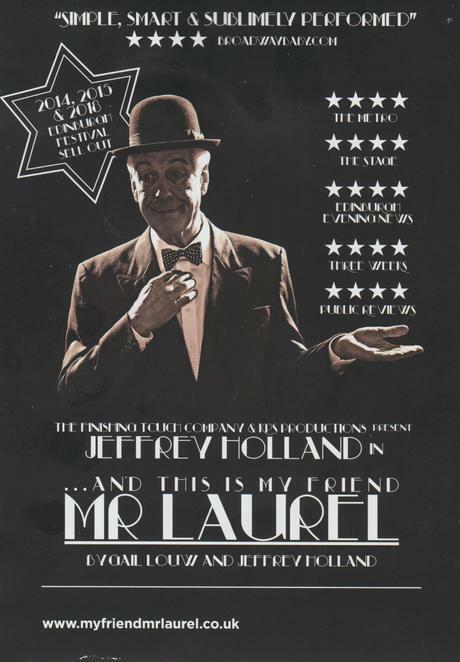 And This Is My Friend Mr Laurel can be seen at St Mary's Lichfield on Saturday 12 January at 7.30pm. 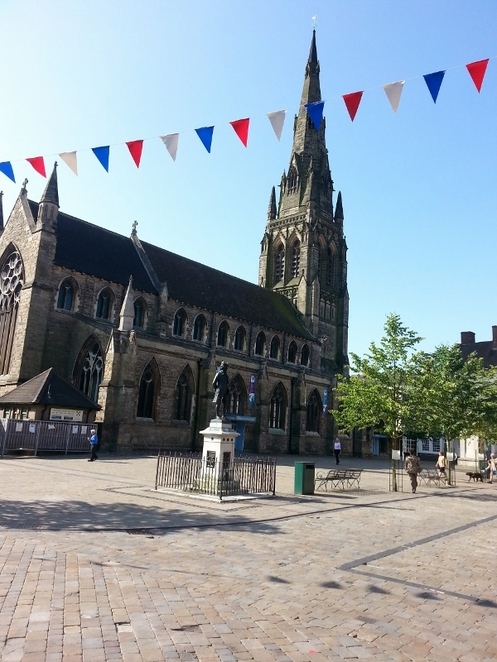 Tickets priced £19.20 are available online or in person from the venue in Market Square, Lichfield.